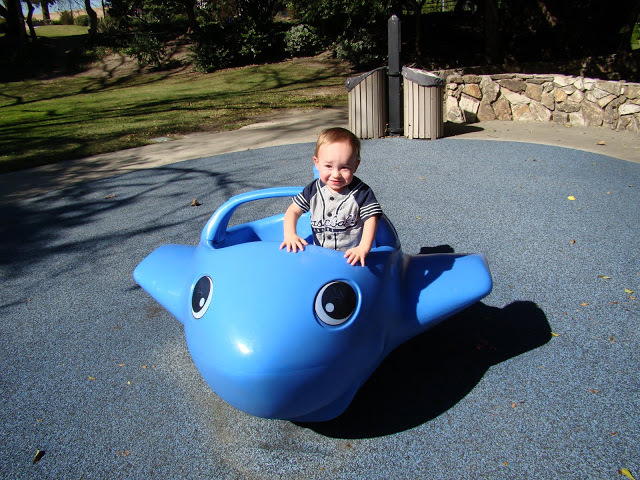 Atlantis Play Center is one of the oldest parks in Garden Grove. It was established in 1963 and many older folk talk about when they used to go and play as children. Admission is only $1. The theme is “Atlantis” so all the play areas are based on sea creatures or objects. The park is famous for its long dragon slide but also has a whale slide where the kids come out the mouth of the whale. Has infant/toddler and bigger kid swings.